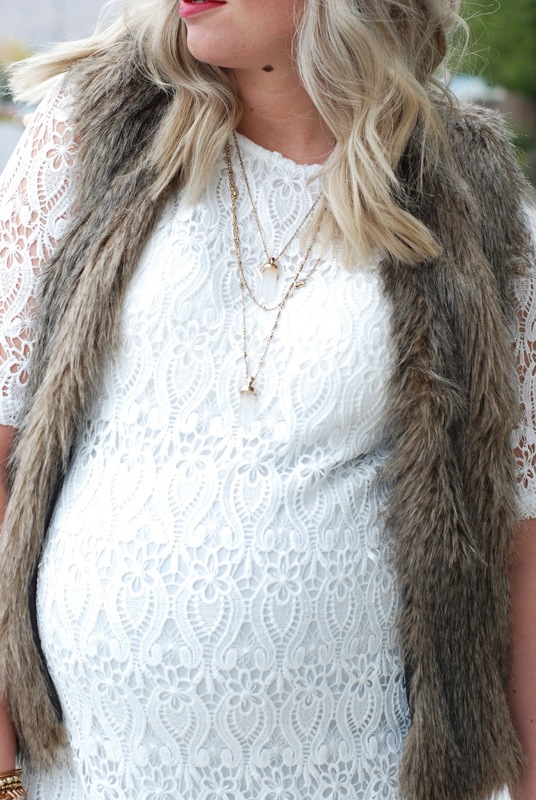 JOURNEY FIVE LACE TUNIC + #WIWT LINK UP! Can I just say I have my days all sorts of messed up now that I am not working. It's kind of really nice and kind of really confusing at the same time. Every day feels like a Friday!! I am definitely enjoying this time off to get things accomplished before baby comes though. It is soooo nice!! Today i'm wearing another piece from Journey Five from their Fall/Winter Fashion Event this week! You need to check it out! I am loving all the long tunics and layering pieces. Perfect for anyone, and especially for this belly of mine! This lace tunic is one of my favorites. I loved layering it for fall, and I think it would be so cute with heels and a pretty necklace for a nicer outfit! Even though hubby isn't too thrilled about it, the fur is BACK!!! haha If you have followed my blog before now, you probably know my husband hates fur and lipstick. Especially the fur. Unfortunately he will have to live with it because I just ordered a lot of fur. I love it! What is your take on fur? 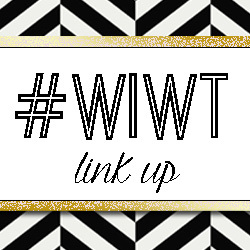 For all your babes here for #WIWT Link Up.... you know the drill!! This weeks pick is...... Happily Howards!! 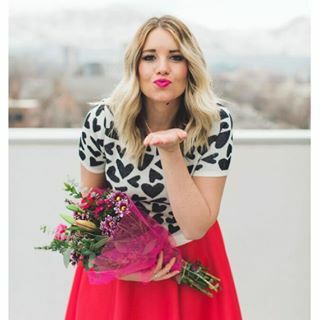 I love love this girly outfit and the advice you give on adding feminine touches to your outfit! I'm all about that! !